Explore the city's top attractions at your own pace. More than 50 key points of interest all around Paris! Hop-on or Hop-off at your leisure to create your own customized journey around the city. The tour includes an informative and entertaining commentary that guides you through the city. 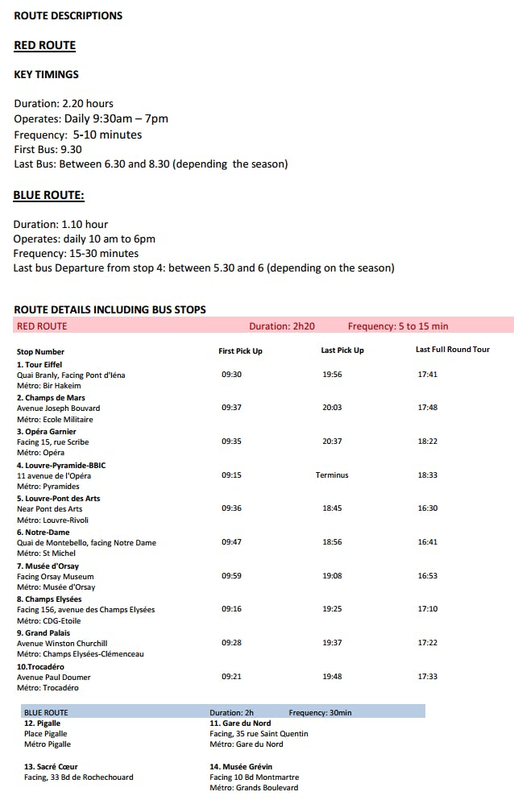 To view the route map and timetable click here. Blackout Dates: No Night Tour on the 31st of December. Detours: 14th of July (Bastille Day) and during the Tour of France.